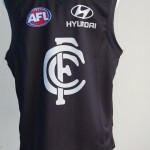 Football Jumpers .com » Blog Archive » AFL on Holidays ? Judd has had surgery , Collingwood are training in Arizona , Saints forge new role for veterans , Gold Coast release a player , and the Cats enjoy a new training Ground . All headlines for the AFL in the so called off season . Do teams take a break and do AFL players ever rest ? It would appear not . Media exposure, and the unrelenting pursuit of Finals success, shorten the Christmas Holiday period . 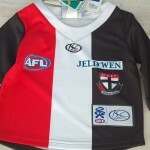 The Football Jumper , Jersey , Guernsey, wants to be worn year round , taken travelling , and to become an integral part of the AFL footy fans life . Adopt one this Christmas . 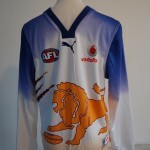 lions footy jumper for Christmas ? 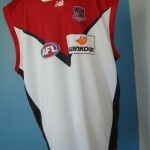 This entry was posted on Monday, December 5th, 2011 at 7:19 am	and is filed under AFL, football jumpers. You can follow any responses to this entry through the RSS 2.0 feed. Both comments and pings are currently closed.